I love people and genuinely enjoy hearing their stories. Photographing this iconic moment in your life is one of my greatest joys. I'm inspired by natural light and simple, beautiful imagery. It's my privilege tell your story and to reflect who you are as a couple. Because of my dedication to documenting your day, you can rest assured that you have someone with knowledge, skill and experience at your back. I work tirelessly to help make your wedding the wedding of your dreams, navigating rushed schedules, tricky family dynamics and any curve balls, with ease and grace. I also have a great sense of humor, which is an excellent asset on high-stakes events. A little about me - I grew up in Arkansas, traveled to the east coast to study photography in the Berkshires. After finishing school, I was hired by a wedding agency and was instantly hooked on capturing the fleeting magical moments of a wedding day. Now, over a decade later I am still telling these stories. I currently reside in Brooklyn with my wife Mere and our 1-year-old Eleanor. I look forward to hearing what you have dreamed up! Tim was an absolute pleasure to work with. He arrived early to our hotel on the day of our wedding to scope out places to take pictures and to also go over our desired photos to make sure we got everything we wanted. He kept us on time throughout the day, and even learned all of our parents and siblings names! He was unobtrusive during the ceremony, which i found to be very impressive seeing as it was a bit of tight quarters. During the reception he made sure to gather the groups we wanted to take pictures with and then grabbed my husband and I last. It was effortless for us to get the photos we wanted. We were also pleasantly surprised that we got our pictures back so quickly, and that they turned out gorgeous. He is truly talented at capturing light and composing beautiful and emotional photos. Not only is he incredibly professional, but he has a warm personality and overall good vibe. We cannot recommend him more for weddings or any other special events! We loved working with Tim and cannot recommend him enough! We were referred to Tim from a friend of ours and, after looking at his work, we immediately knew that we wanted to work with him. Tim was everything we could have asked for ... friendly, reliable, responsive to our inquiries, flexible (we had an outdoor wedding and, because of the ominous weather forecast, I threw a curveball at him by changing the wedding date the week of and he accommodated us! ), and, most importantly, so talented. We also received our entire gallery in less than three weeks (!!) and we are so pleased with the photos. Thank you, Tim! Before we chose to have Tim capture our special day we first wanted to see his work so we looked at his site and instantly saw the quality, care, and love he poured into every piece of work he completed. We scheduled a call with him and after 30 seconds on the phone we knew he was perfect. Tim was an amazing resource throughout our planning process as we were able to ask questions about venue setup, lighting options, and even flower colors to which he was happy to answer and give thoughts from his experience and act as a sounding board for ideas, it was perfect. As we got closer to our big day Tim was available and always made time to answer all of our questions about timeline and scheduling quickly and thoughtfully. When the day came he was on time (actually about an hour early) and was ready to handle all that the day threw at us. He and his partner captured our wedding through a spectacular lens and were able to bring to life our celebration through each frame. The pictures are absolutely stunning. We continue to look at them each day with smiles and tears of joy as it allows us to relive each and every moment again and again. What an amazing man. Throughout the process he was excellent, detail oriented, and best of all a genuinely great person. We cannot put it into words how amazing working with Tim was he made us feel like family and now has allowed us to relive and share our celebration for years to come. Tim was beyond fantastic to work with, I feel so lucky to have found this gem of a photographer. He photographed both our engagement shots and our wedding and we were thrilled with the results on both occasions. 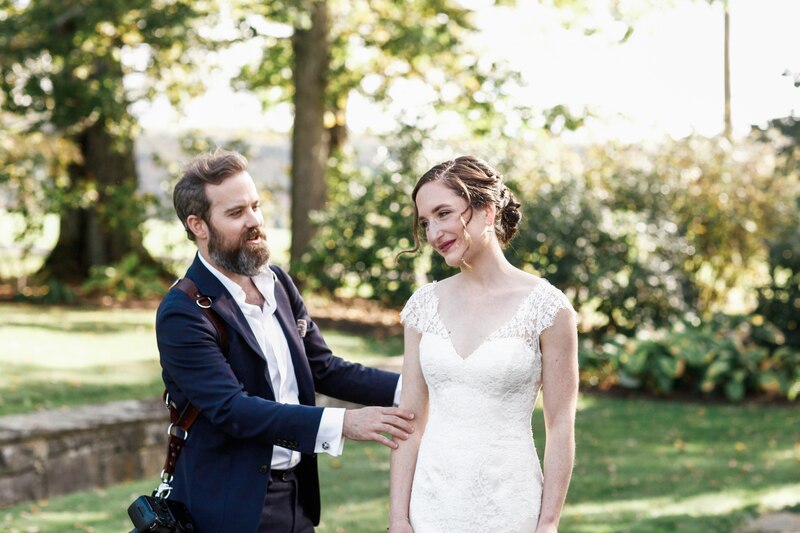 My husband and I loved him so much that my sister ended up hiring him to photograph her wedding a month later and he did an equally if not even more fantastic job. He is both extremely organized and creative. From start to finish working with him was seamless, easy and so much fun. He's not a " typical" wedding photographer which is exactly what we were looking for. He works with you as a couple, gets to know you, puts you at ease behind the camera and takes magically candid, authentic shots. He has a great eye for what will make a good picture from background to lighting to guiding you to looking your best, which results in photographs that are pure artistry. 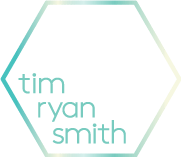 Tim will put your mind at ease, organize the process perfectly and direct people in and out of shots. He was also so good at capturing moments without us even noticing he was there. He captures raw emotion so well and the way he told the story of our wedding from start to finish through his photographs was brilliant. Every time we look at the photos, we feel like we are reliving the day through them. I would recommend him to anyone looking for a true artist of a photographer!! 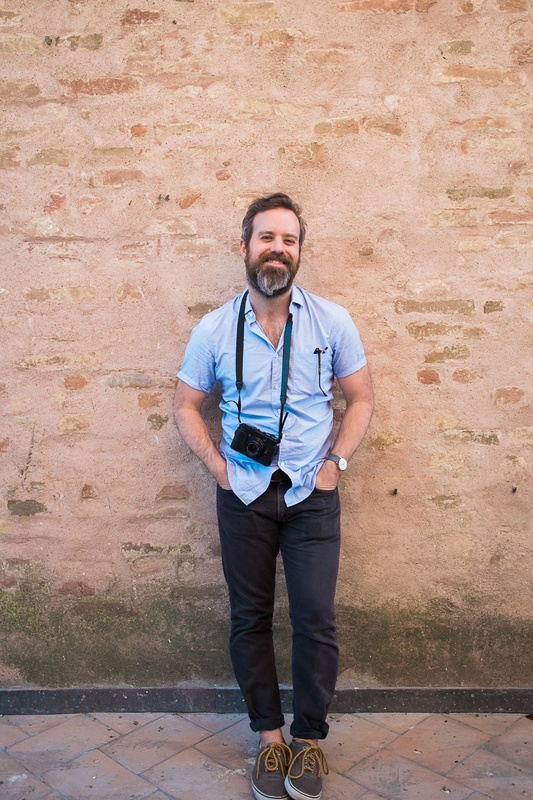 We are SO lucky to have had Tim as our wedding photographer. Not only is he a superb photographer, he is also a wonderful human being. His kindness and patience with all the relatives (and general chaos) made our special day a lot less stressful. He was friendly and approachable without being intrusive, and he was able to wrangle lots of people efficiently without being bossy. Thank you, Tim, for your wonderful work! My now-wife-then-fiance and I flip flopped for a long time on whether or not to have a photographer at our wedding. We felt unsure about letting a stranger into our lives on such an intimate occasion. It’s funny to think about now, because after having Tim at our wedding, we can’t imagine what we would have done without him. Choosing Tim turned out to be easily one of the best decisions we made. We clicked with Tim immediately. He was kind enough to meet with us a couple weeks before—on his suggestion—to get an idea of what we wanted, which helped us get comfortable and develop a rapport. Had he not been our photographer, we probably would have invited Tim as a guest. Never having been married before, my wife and I didn’t know what we didn’t know. Luckily, we had Tim to guide us through. It was like having a good friend by your side who just happens to be an amazing photographer. He knew the venue, he knew the best shots to get, and he knew the best way to get them. He was calm, cool, steady, tactful, prepared, and professional. And somehow, he managed to keep everything feeling totally natural, not only in the compositions but also in the moment. Tim took on every request—including embarrassing parent ones—with a playful grin. He somehow managed to do the seemingly impossible by impressing everyone one of our family members and friends—something we will spend the rest of our lives trying to live up to. We had countless guests tell us how much they enjoyed Tim, to which we excitedly responded, “We know! He’s great, right? !” He was a complete joy to have out our wedding and we feel lucky to have gotten to spend the day with him. His pictures feel exactly what the day felt like: filled with love, happiness, and warmth. 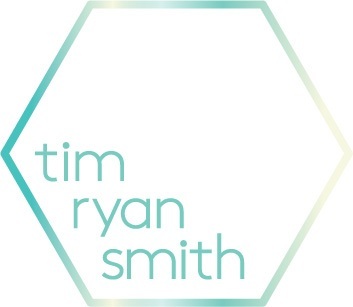 If we could make only one wedding-related recommendation, we would recommend Tim Ryan Smith. And if we could make two, we would recommend Tim twice. Tim was wonderful!! I can't say enough good things about our experience with Tim. I would recommend him to every couple looking for a photographer with both an amazing eye and a calming and friendly demeanor. After a long search, we met with Tim because his aesthetic and style were what we wanted - photos that were cool, interesting, fun, and captured the beauty and emotion of the day. We felt comfortable with his calm and friendly personality right away, and felt relaxed around him during every interaction we had with him. On our wedding day, I felt so happy that I went with Tim because he was open to all requests, but provided the direction our large family needed. He organized our group and moved through family photos quickly and professionally, while still getting a variety of beautiful shots of each group. He has an amazing eye, and picked out spots for photos that my husband and I would never have noticed. Its hard to summarize how much we loved working with Tim, but I will say we cried when we saw our photos because we were so happy! I highly, highly recommend him. Loved working with Tim for our wedding! He was fantastic from start to finish with a meeting weeks before the event to go over what we were thinking, what we wanted to capture, all the details to delivery of the photos. We were planning on having the wedding at the courthouse but our plans changed with about 48 hours notice and Tim was so flexible and understanding. He was so helpful in getting all of the shots we wanted, and also taking so many candids to capture the whole feeling of the day. We knew we were in great hands with Tim! We used Tim Ryan Smith for our wedding and engagement pictures this past November. We took engagement pictures with him almost a year to the day before our wedding and we are so happy we made the decision to. It is always a bit awkward taking pictures in front of someone you just met, but Tim made us so comfortable. When our wedding day finally came around, Tim was a sense of relief and calm on such a hectic day. If he wasn't our photographer you would have thought he was an old friend. Tim sent us our pictures 4 weeks and 1 day after our wedding. My husband and I look absolutely stunning thanks to Tim's work. We are so thankful for Tim Ryan Smith for providing us with photographs that truly depict the beauty of our wedding day. Thank you Tim!! From our very first conversation, Tim made us feel comfortable, excited, and genuinely cared for. He was always happy to meet or speak with us and knew how to handle everything we needed. Our first photo session together as a couple was our engagement shoot. We both felt a little awkward going into it but working with Tim had us laughing and feeling relaxed about the whole thing. He would give us direction without needing to say too much. He would let us walk and talk and he captured amazing shots of us. At our wedding, we were so excited to be working with him again and we were blown away by the photos. His ability to see a photo in different layers and texture is astounding. The weather may have been rainy, but you would have never known it by the colors he brought out and where he took us that no one even realized was right in front of our eyes. Everyone at the wedding noticed that Tim never took a break. He was taking photos the whole time for us and we couldn’t have been more pleased with all the touching, funny, and unexpected shots he got for us. These photos are what you cherish from your big day and we wholeheartedly recommend Tim to be everyone’s photographer. Working with Tim was an absolute pleasure! He was professional and handled everything with ease, he was also very responsive throughout planning and always helpful when we had questions, and very accommodating to all the different needs and requests. He made the entire process less stressful and he was so calming on the day of the wedding. And beyond all that, his photos were stunning. I just received them back and I am so incredibly happy - he captured everything and more!